Speak with the clerk at the family court for your jurisdiction and ask whether there is a specific form for filing for divorce from an incarcerated spouse. Obtain either the incarcerated-spouse divorce filing forms or the standard no-fault divorce filing forms. Request a copy of your husband's mittimus -- the document formally committing him to the jail -- from the criminal court in which he was convicted. Complete the divorce filing paperwork and attach a copy of the mittimus to the filing. Submit the divorce filing to the family court along with the necessary filing fee. Inquire of the clerk whether you need to serve the paperwork on your husband or whether the court does that in cases of incarcerated spouses. If you must serve the paperwork, either hire the local sheriff's office to do so or mail it by certified mail. Research your state laws regarding legal grounds for divorce if your husband declines to sign the no-fault divorce filing. Seek help from the family court clerks, a qualified family law attorney or your local legal aid office if you cannot locate these laws. Most states include criminal conviction and incarceration as automatic legal grounds for an at-fault divorce. Obtain and complete your family court's at-fault divorce filing forms, attaching a copy of the state statute regarding divorcing incarcerated spouses and a copy of your husband's mittimus. File these along with any additional necessary filing fee and have the paperwork served according to your local family court procedures. At least one hearing will be held after this filing, but it is unlikely that your husband will be transported from jail to attend the hearing. Secure a copy of the final divorce decree from the family court. Advise the court of any change in address to ensure that you get a copy of the final order. If personal safety is a concern, have the final order mailed to your attorney's office or the local legal aid office. 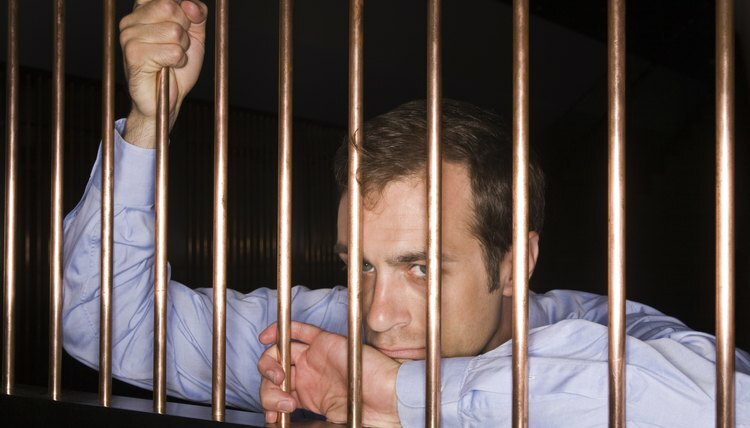 Ferrell Law Firm: Can You Get a Divorce if Your Husband or Wife is in Jail or Prison? If you are seeking a divorce from your wife in New Hampshire, you must satisfy a number of legal requirements before a court will dissolve your marriage. To avoid any time-consuming and costly delays, it’s wise to familiarize yourself with some of the New Hampshire divorce laws before filing your petition. My Husband Has Filed for Divorce & Refuses to Talk to Me So What Should I Do?